Contenders can fill online form of KARHFW Paramedical Staff Nurse Jobs 2017 from 1st of June. 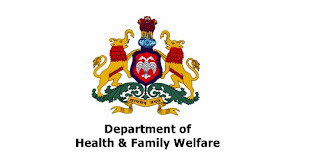 Detailed advertisement of Karhfw Junior health Assistant (JHA) Vacancies is available in below download with direct link on single click. Total three thousand two hundred seventy four posts are currently blank in KARHFW Staff Nurse & Jr. Health Asst and other Position. Registration open at www.karnataka.gov.in. Applicants probably finished HSLC, BSc or Diploma in Nursing / ANM Or its comparable qualification from any perceived Institution / Board with minimum pass marks. Post wise required desired capability, qualification data has specified clearly in the official advertisement of KARHFW Paramedical Staff Recruitment 2017. Age group should be in between 18 to 35 years as on final date of application submission. · Relaxation in upper age limit will be applicable for reserved categories as per government standards. Applicants who will be appointed against this recruitment they will attain consolidated salary of Rs. 17,650 - 32,000/- (Post 1,2), Rs. 12,500 - 56,000/- (Post 3,4), Rs. 14,550 - 26,700/- (Post 5), Rs. 16,000 - 29,600/- (Post 6,8), Rs. 20,000 - 36,300/- (Post 7), Rs. 14,550 - 26,700/- (Post 9) from recruiting organisation. Selection board will waitlist the candidates based on their performance in the written examination and forward to the further procedure of selection i.e Interview. Qualified hopefuls in the process of selection list will be updated soon. Effective candidates are suggested to download KARHFW Paramedical Staff Health Assistant Call Letter 2017 before attending the selection process.